You can build a beautiful pond just like a pro, with one of our pond kits. 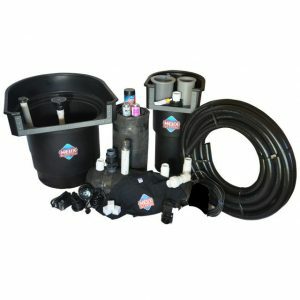 The pond kit systems we offer range from Pond Digger Preferred eco-systems to the Pond Digger Preferred Hybrid Pond Kits. 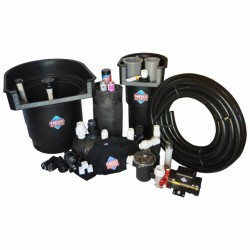 We even have an Economical Pond Kit for those builders on a budget. 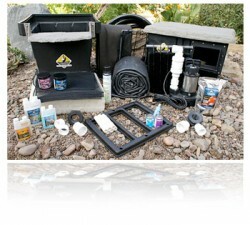 The Pond Digger Preferred Systems were developed with the Do It Yourself Pond Builder in mind. The kits come equipped with professional equipment. Your kit will be packaged and assembled by the same team that prepares the gear for our well known construction team, The Pond Digger. 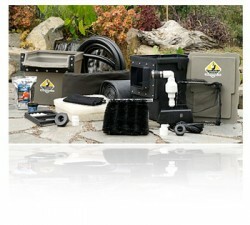 Pond Kits assembled BY professional pond builders, FOR DO IT YOURSELF pond builders. No running to the hardware store to pick up miscellaneous pond supplies during your installation! 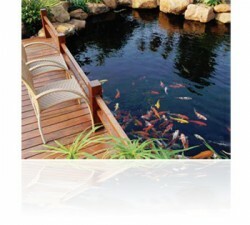 Our pond kits take the guesswork out of the construction process.